Virginia Commonwealth University Fountain Pen in Sterling Silver with Gold Trim by M.LaHart & Co.
Every college sports fan enjoys an NCAA and College Shop gift. Our VCU fountain pen is made in Germany from hallmarked sterling silver. Featuring a decorated nib, gold-plated fittings and inscribed with your school name., Made from .925 sterling silver with gold-plated metal fittings, Measures 140 mm x 13 mm, High-quality steel nib is exceptionally smooth and perfectly aligned, Engineered and exquisitely made entirely in Germany, Complimentary blue ink cartridge and polishing cloth, Converter included if you prefer to use bottled fountain pen ink, Each pen has a unique serial number engraved in the cap, Beautifully presented in a keepsake gift box, Officially licensed by Virginia Commonwealth University, only at M.LaHart Manufactured direct from a trusted supplier. 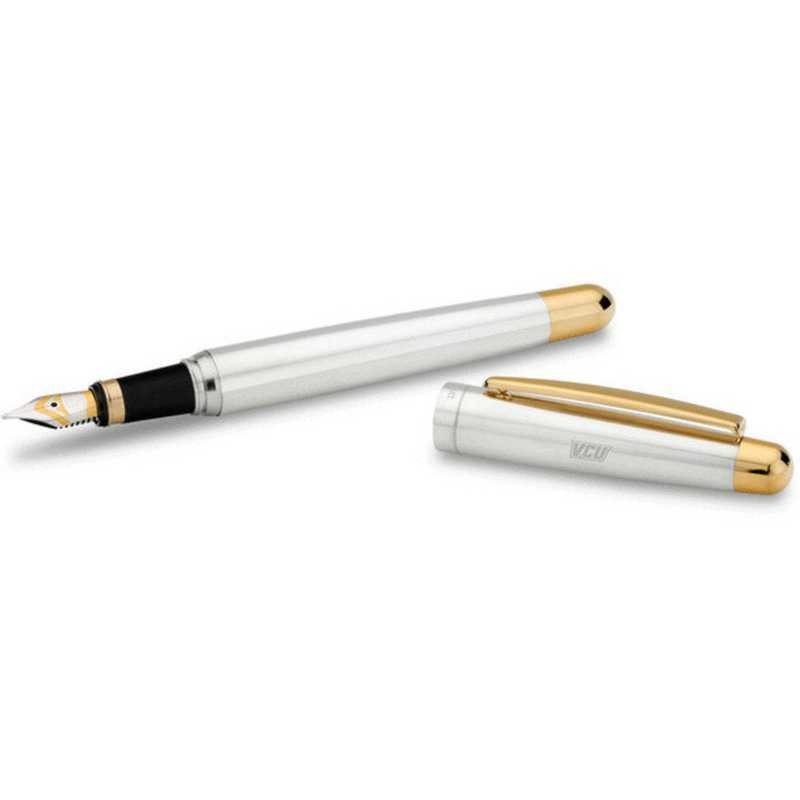 You're reviewing:Virginia Commonwealth University Fountain Pen in Sterling Silver with Gold Trim by M.LaHart & Co.